Liven it up with this color version of a printable 100s chart. The are versions of this number chart that are missing numbers, plus a completely blank hundreds chart for kids to fill in and use for reference. These color hundreds charts can serve to brighten up many of your math exploration activities. 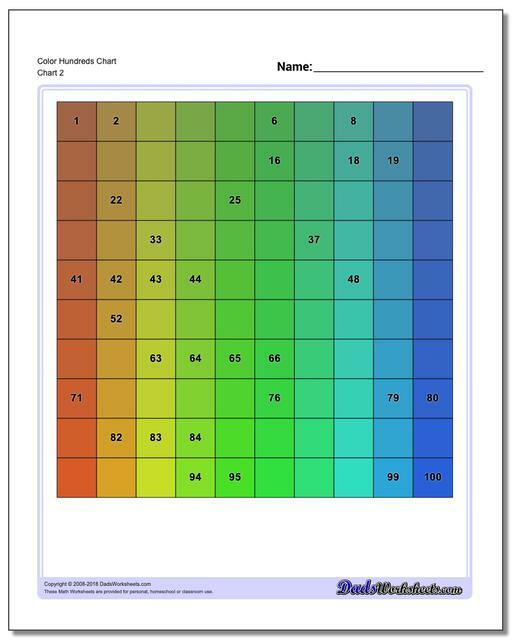 All of your usual hundreds chart activities like number literacy, skip counting or place value addition are waiting for you in full color! There are variations of the 100s chart that are missing numbers, allowing students to fill-in the chart as an exercise. This is most appropriate for kindergarten or first grade students who are still practicing counting through 100. 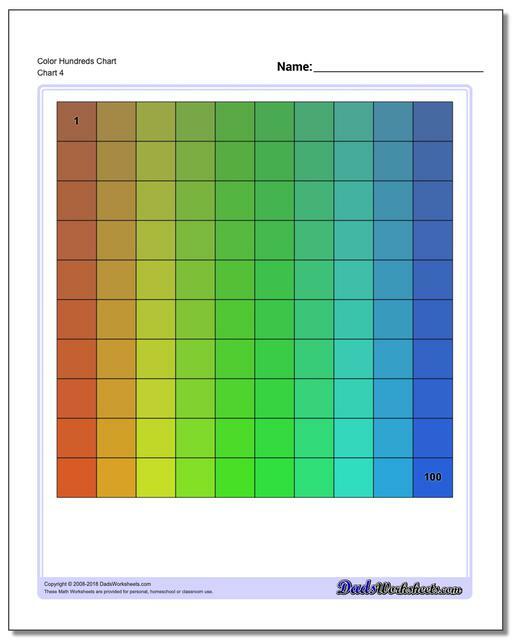 While these color hundreds charts can be used for skip counting, I would encourage you to look at the black and white hundreds charts in the previous section for exercises where students skip count to color in select numbers on the chart.